When your truck is always on the go, you have to be able to stop on a dime. National Spring stocks a wide variety of brake parts, ensuring you are always ready to go. National Spring stocks a complete inventory of pads, rotors, and calipers from brands you know and trust. 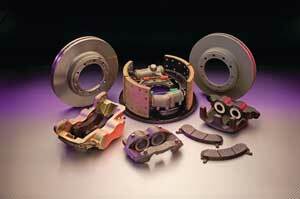 Our air brake inventory includes brake drums, camshafts, cam kits, brake and wheel hardware, seals, and bearings. 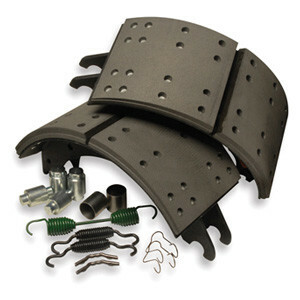 For extra friction, we also supply Neo-Brake Premium lined boxed shoe kits. We offer parts and service for any make and model trailer in need of electric brake work. In addition to our extensive inventory of parts, we are also an authorized distributor of Redneck Trailer Supplies.